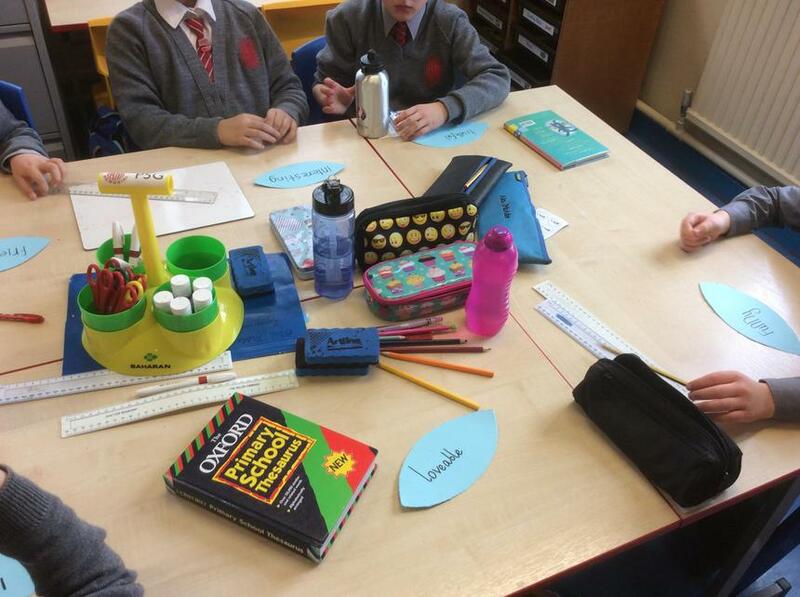 Welcome to P5G's R.E. 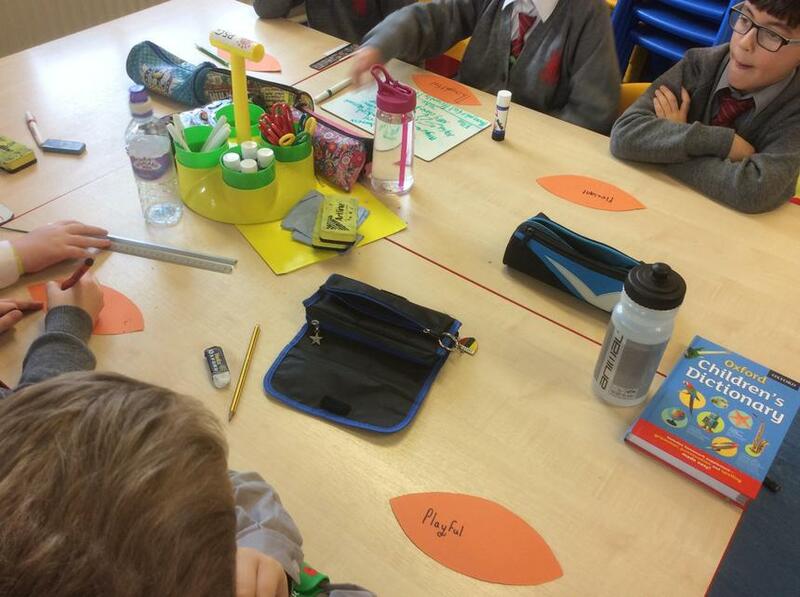 and P.D.M.U. 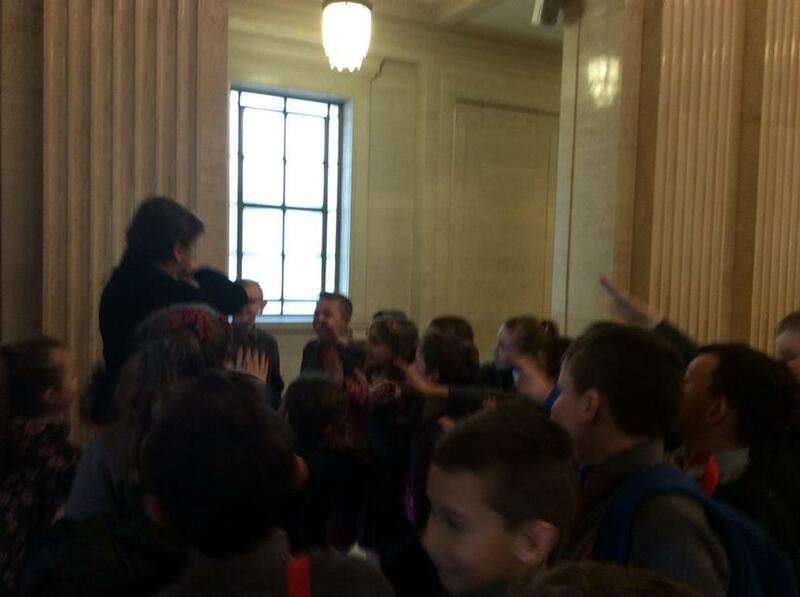 page! 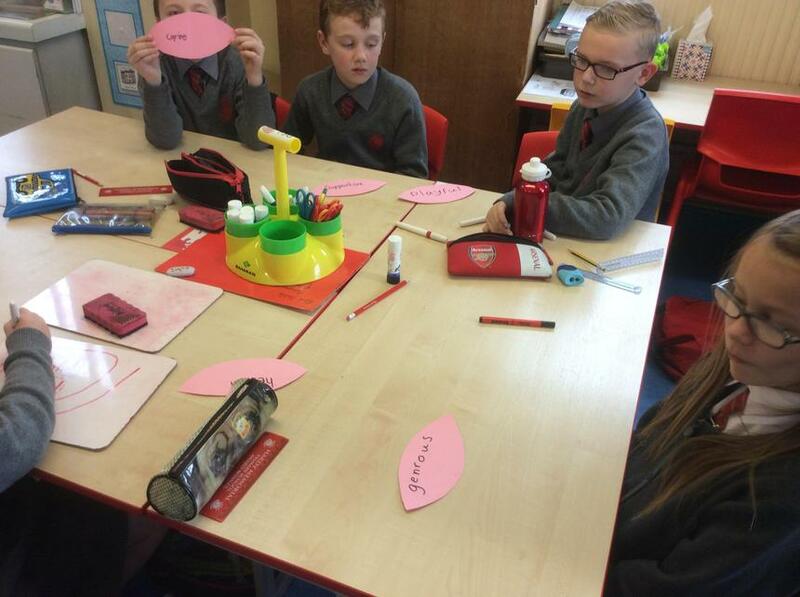 Personalised Crests (P.D.M.U.) 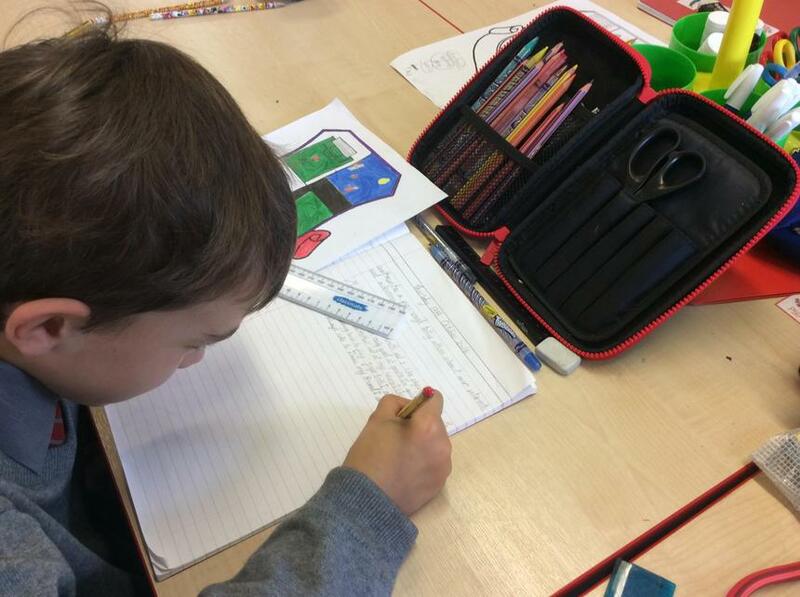 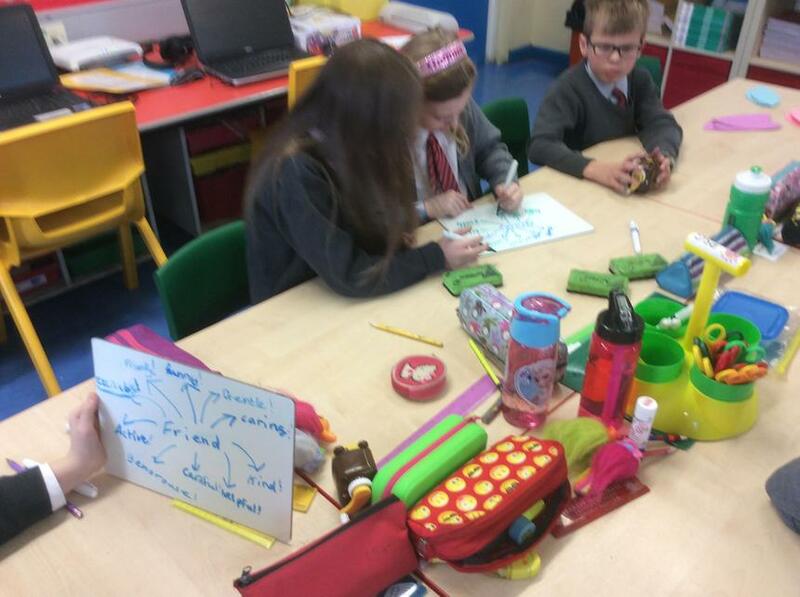 - The pupils of P5G created personalised crests using their own interests and achievements. 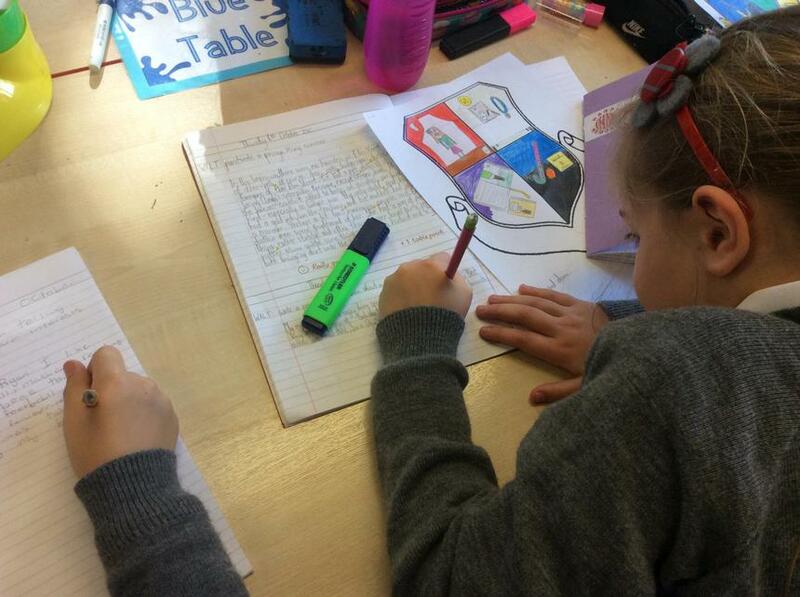 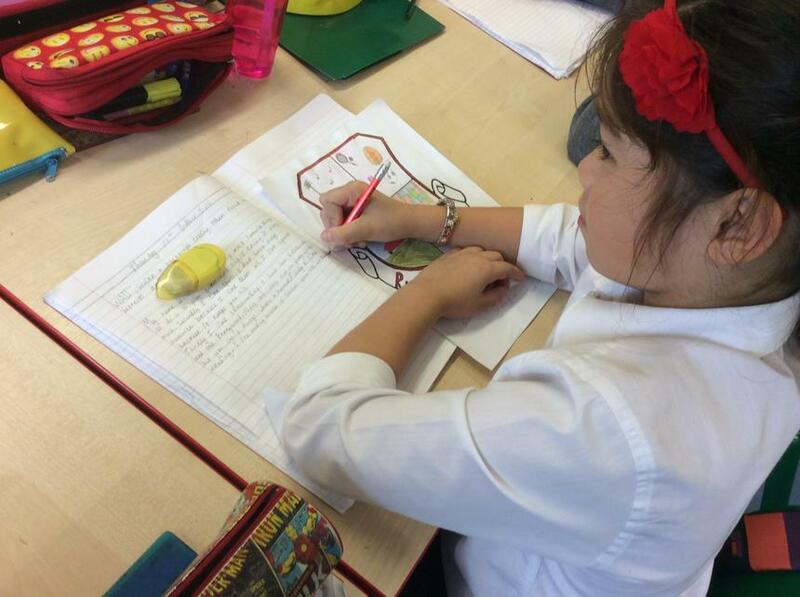 Then, everyone wrote a short paragraph explaining their crest. 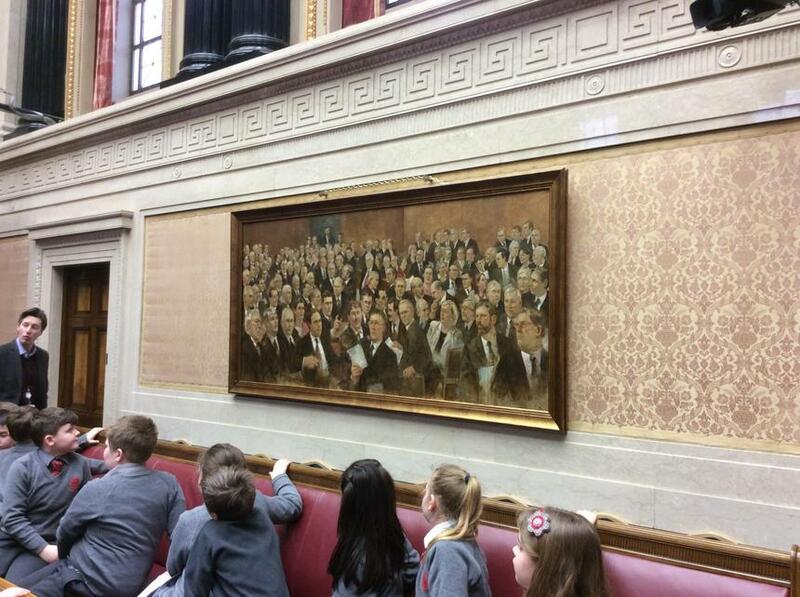 The finished crests are excellent and show how talented and unique the pupils of P5G are! 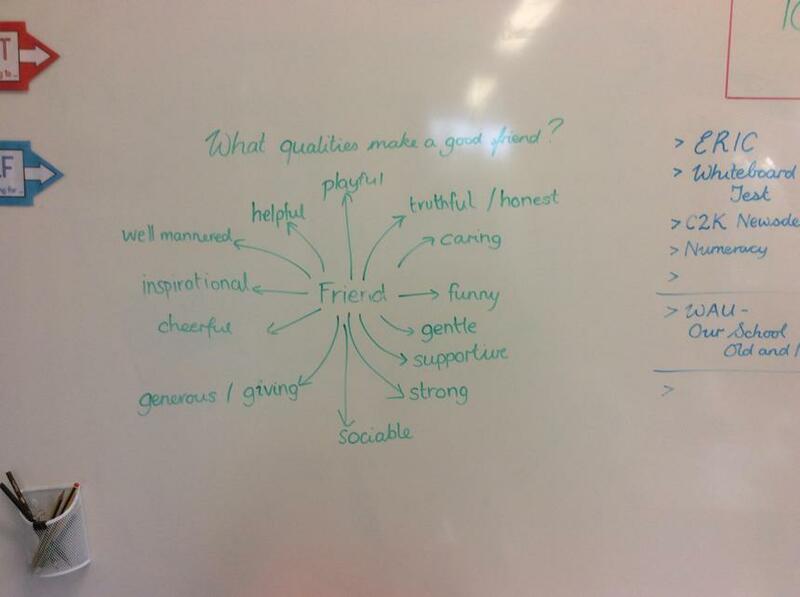 Friendship Flowers - As part of Anti-Bullying Week 2016, the pupils of P5G decided to think of characteristics and qualities of a good friend. 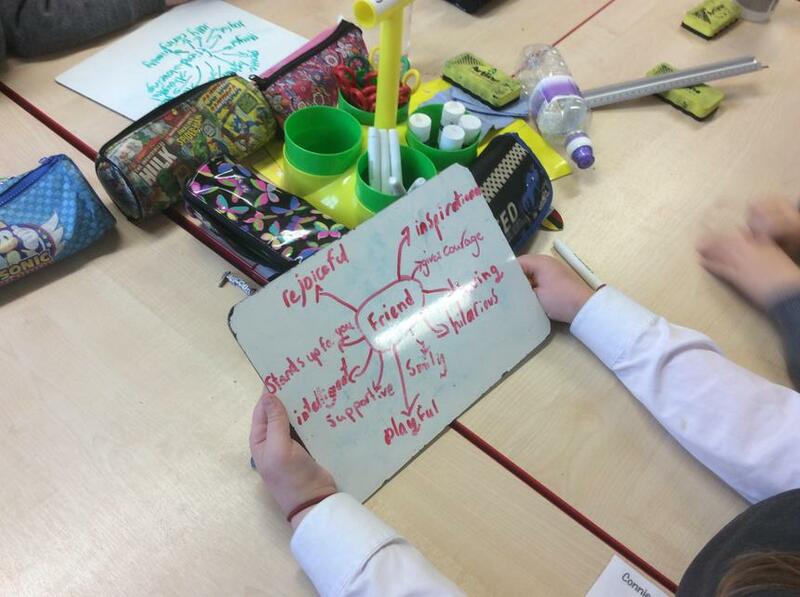 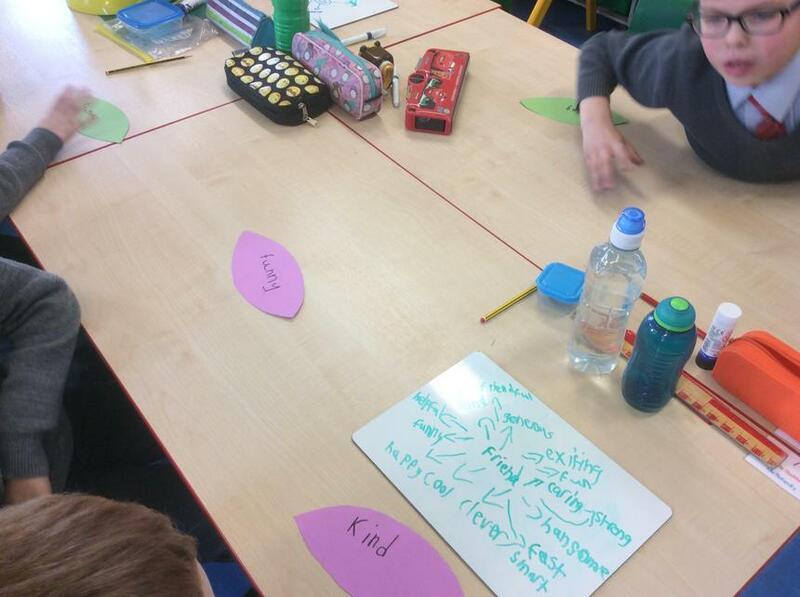 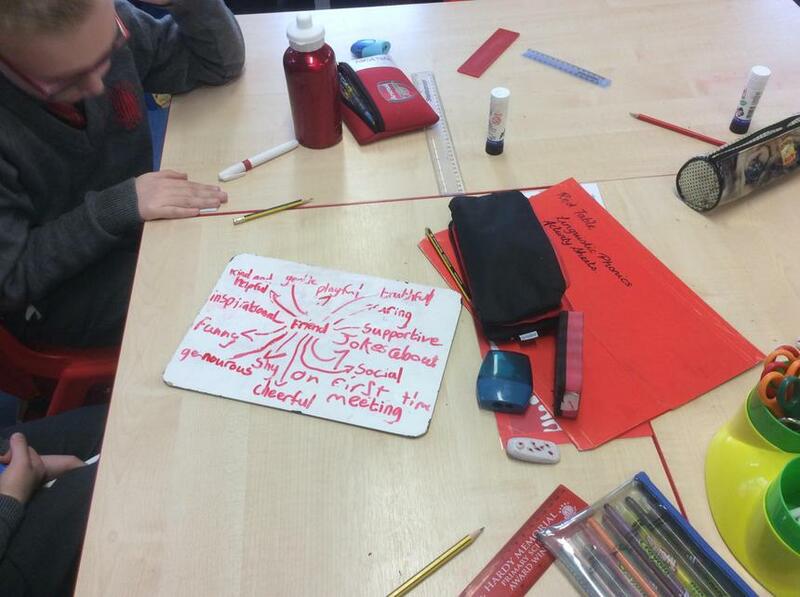 We made a mind map as a class and then we wrote down our favourite word on a card petal. 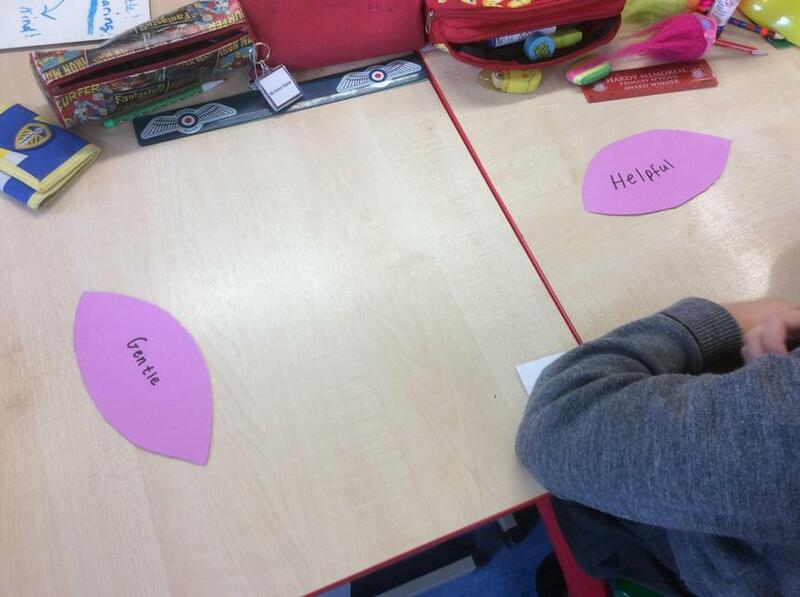 These were then stuck together to make flowers which help remind us what a good friend should be like! 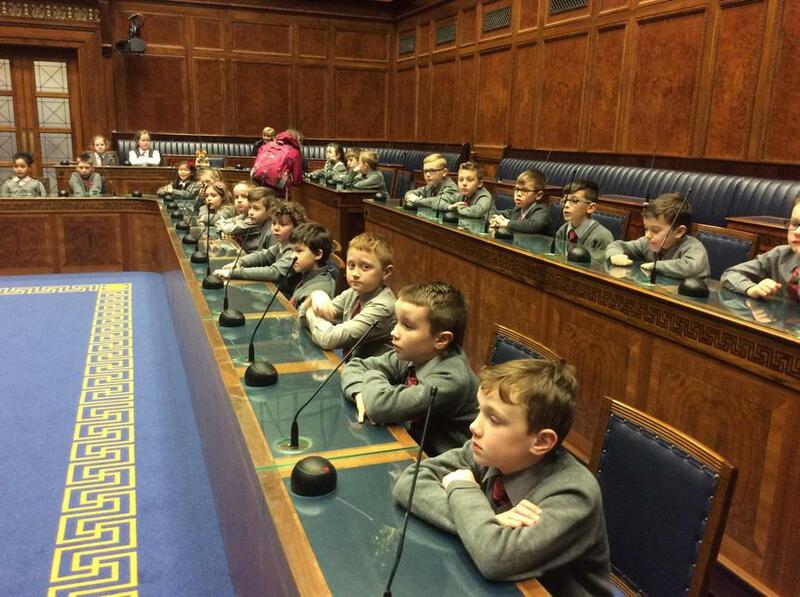 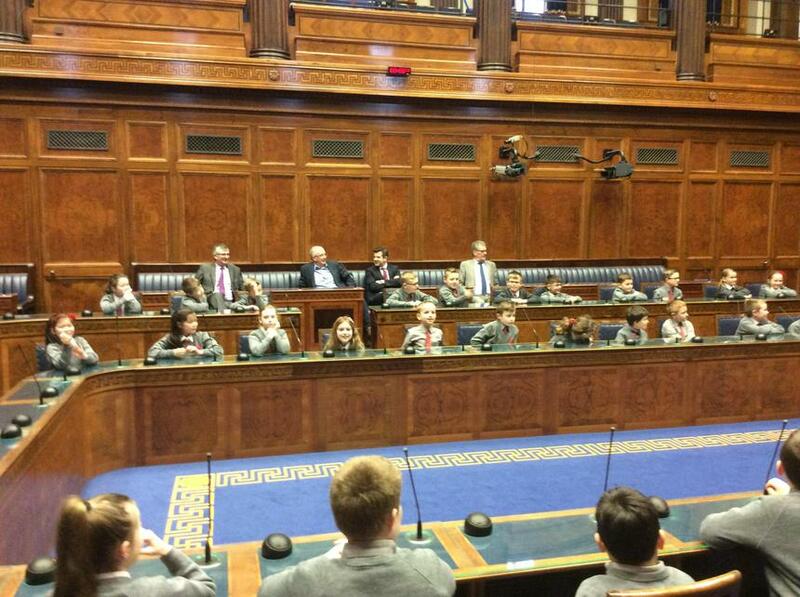 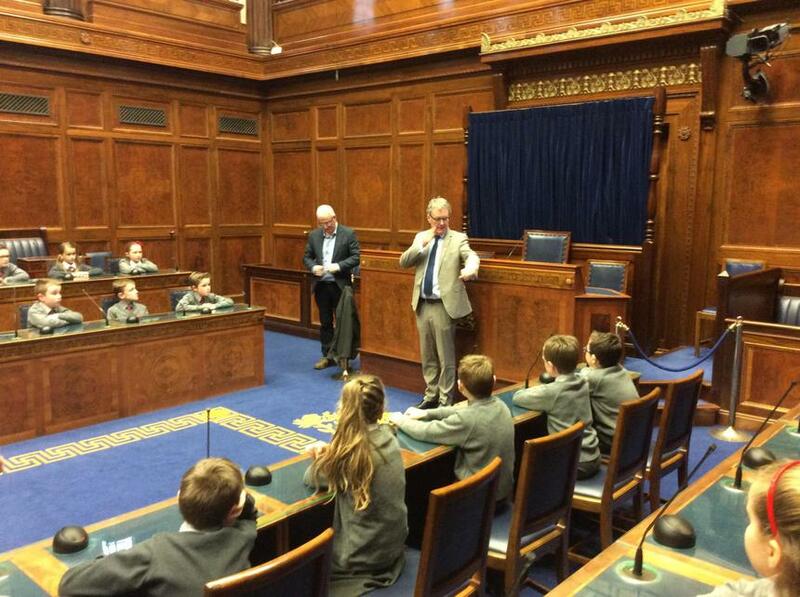 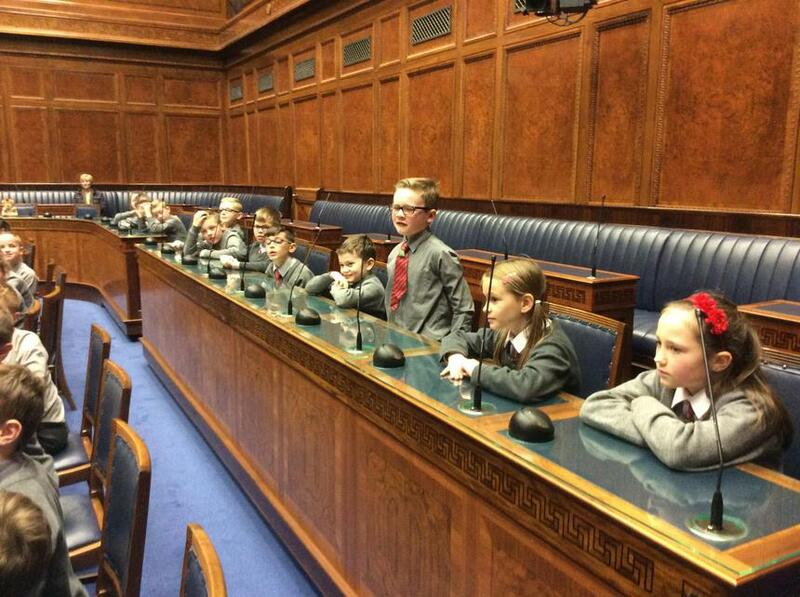 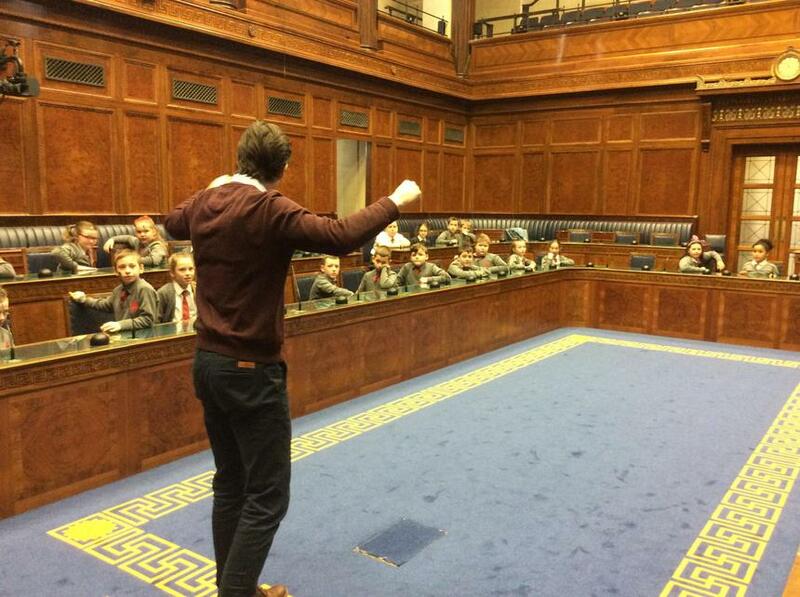 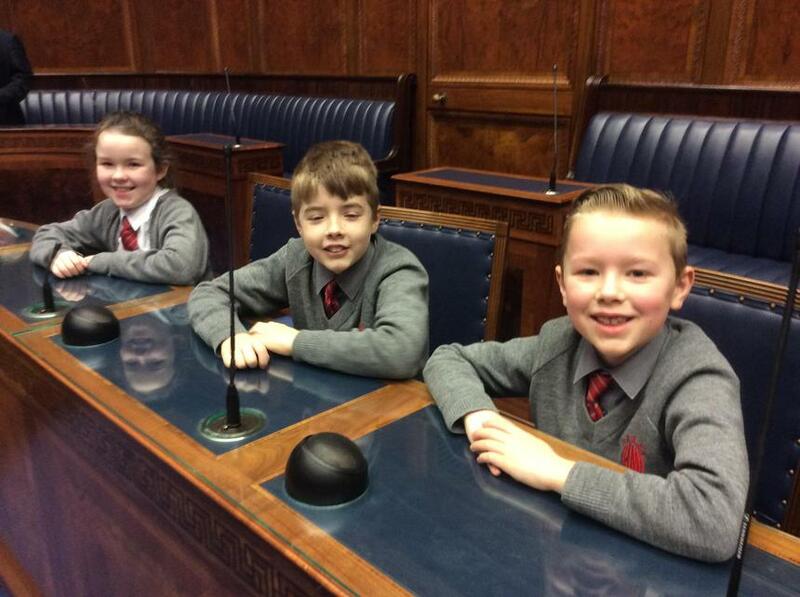 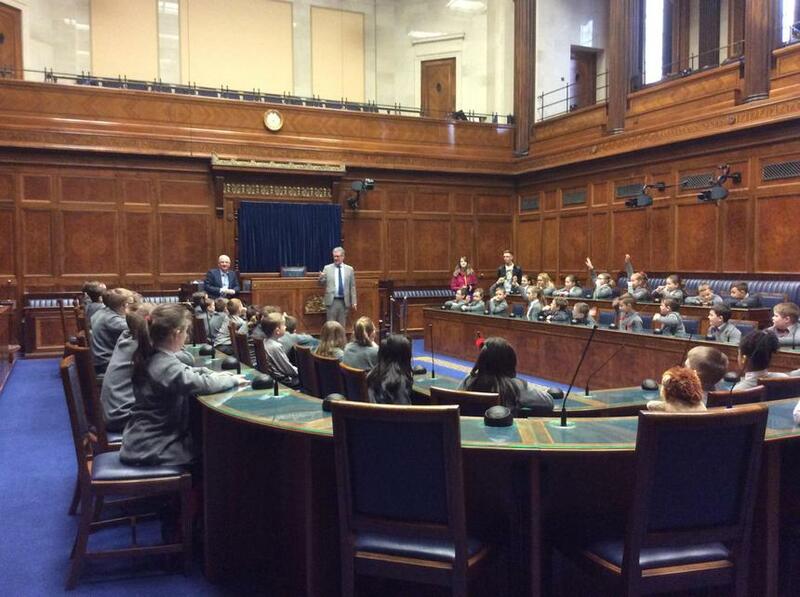 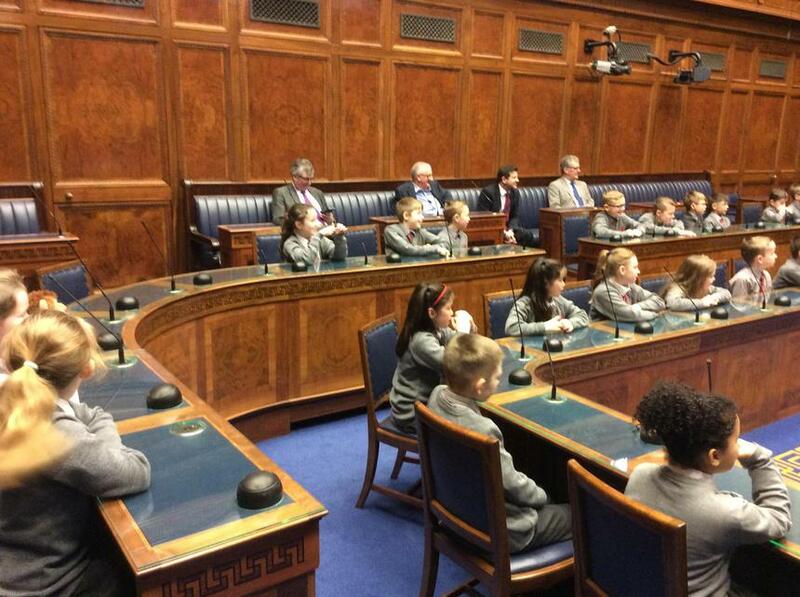 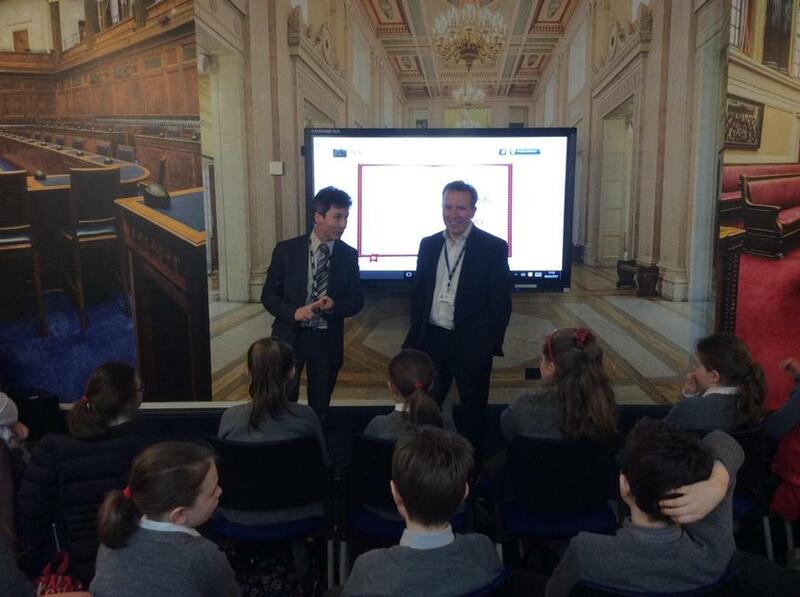 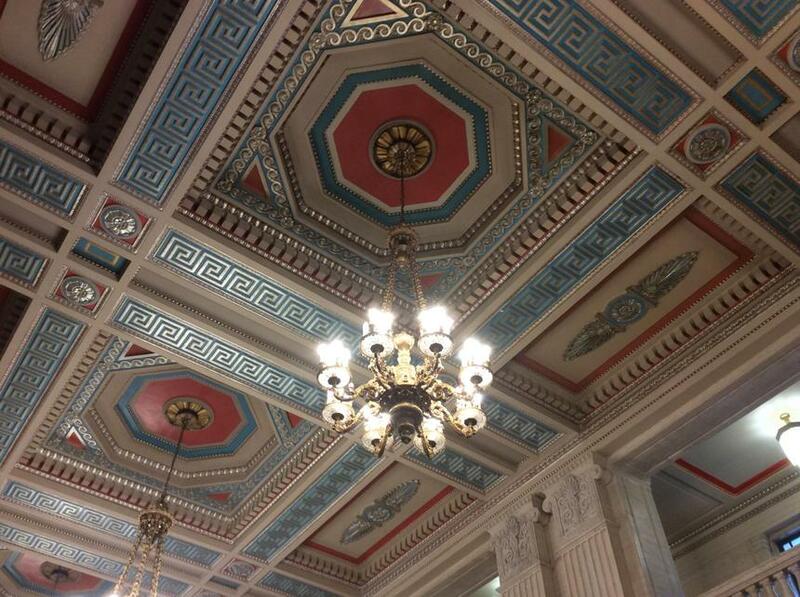 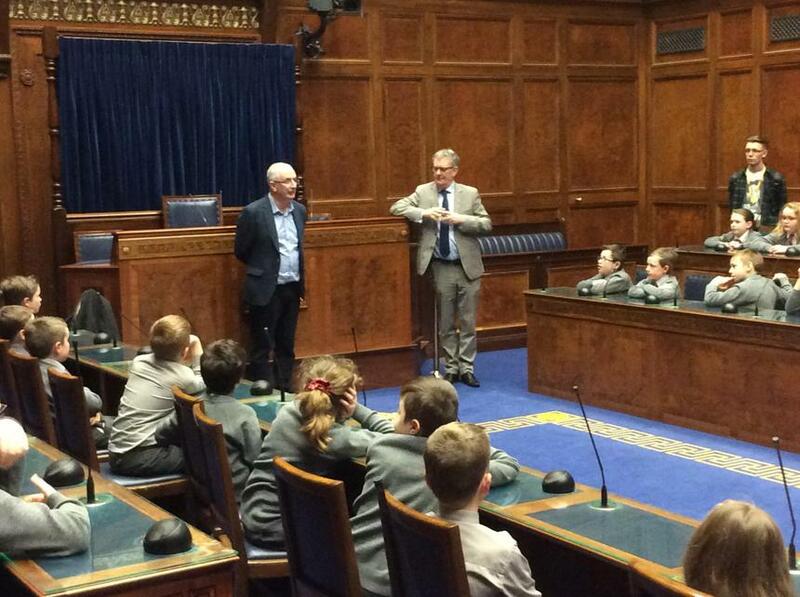 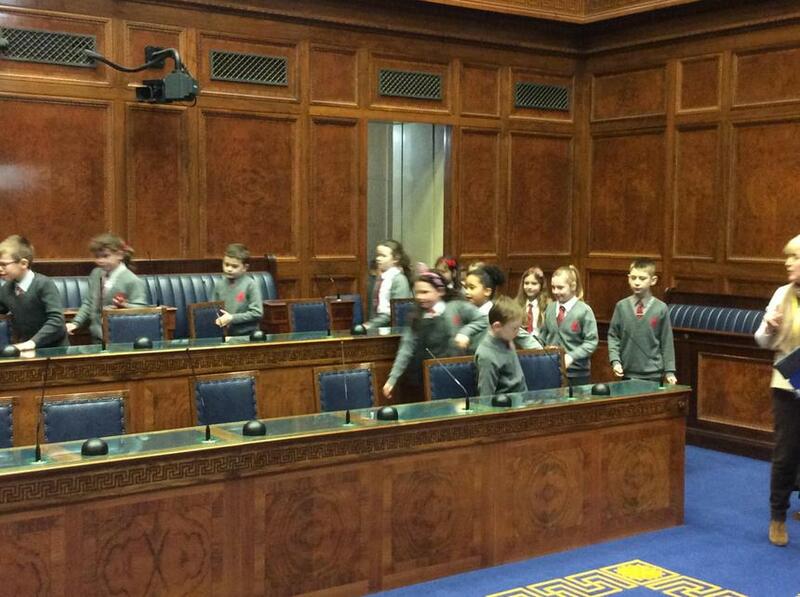 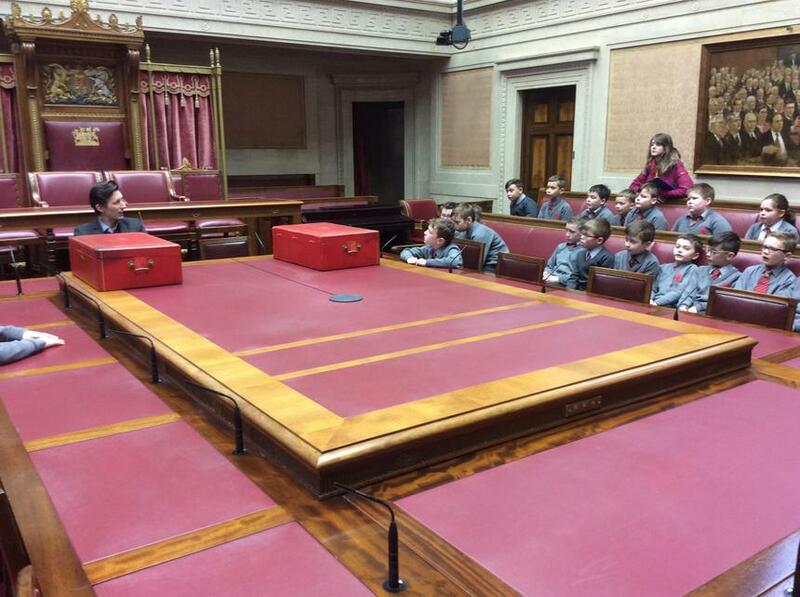 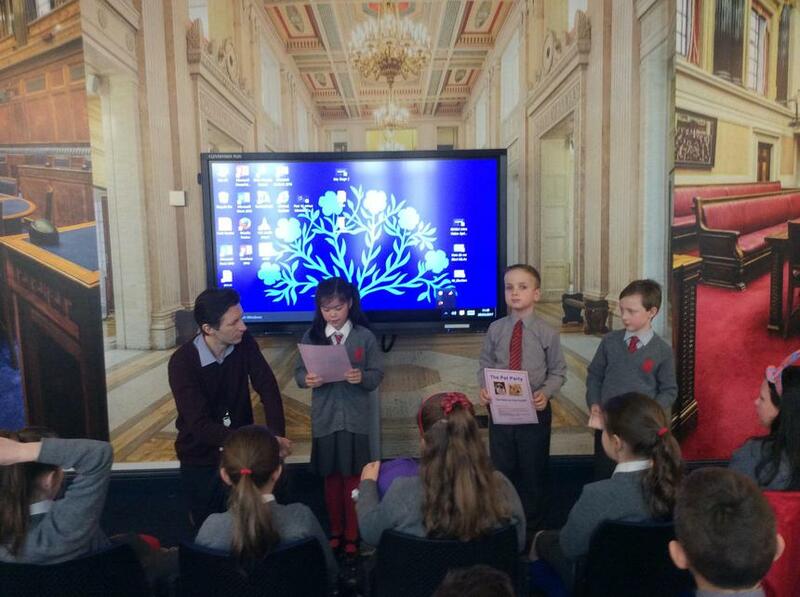 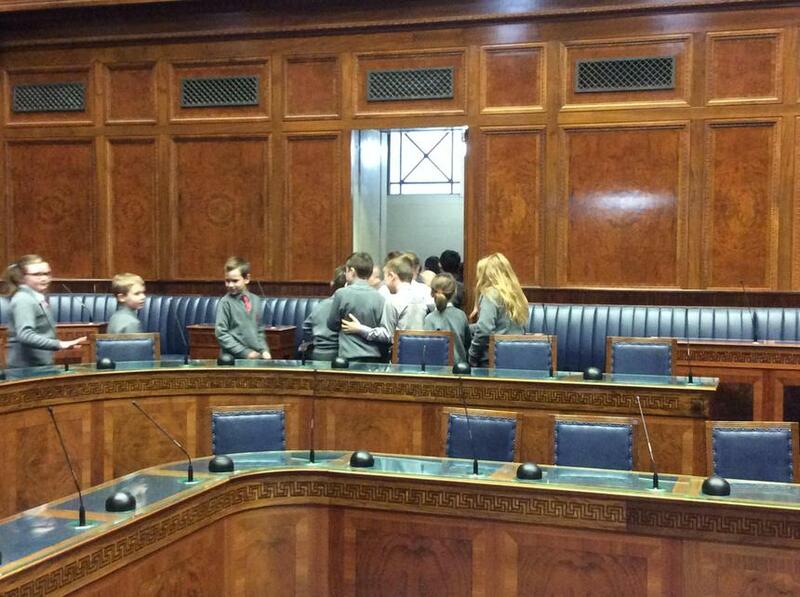 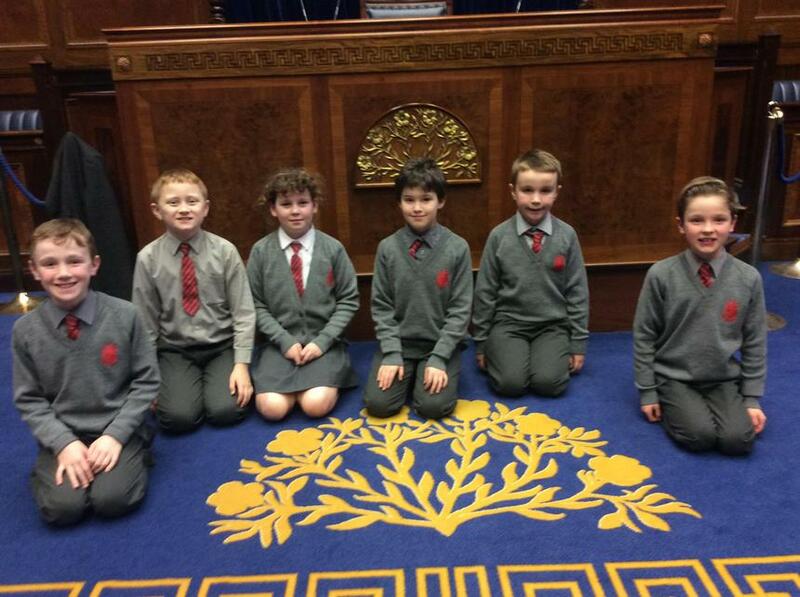 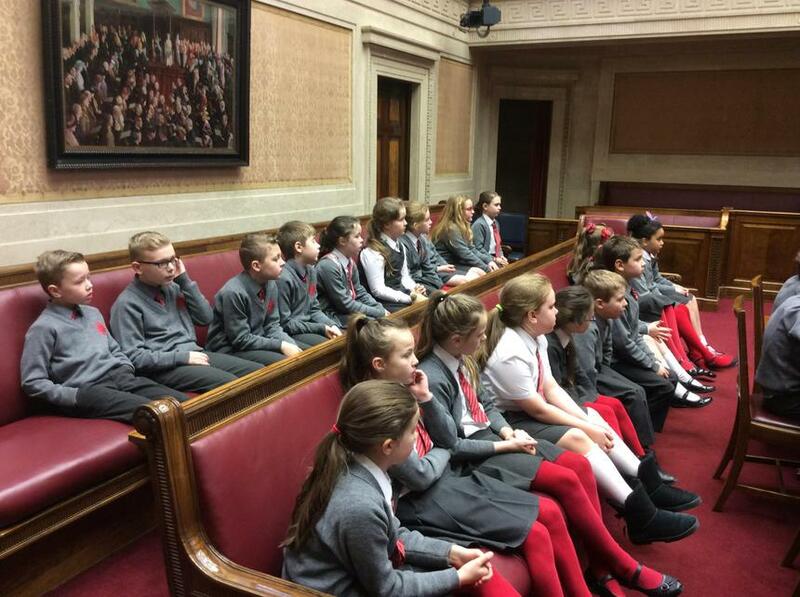 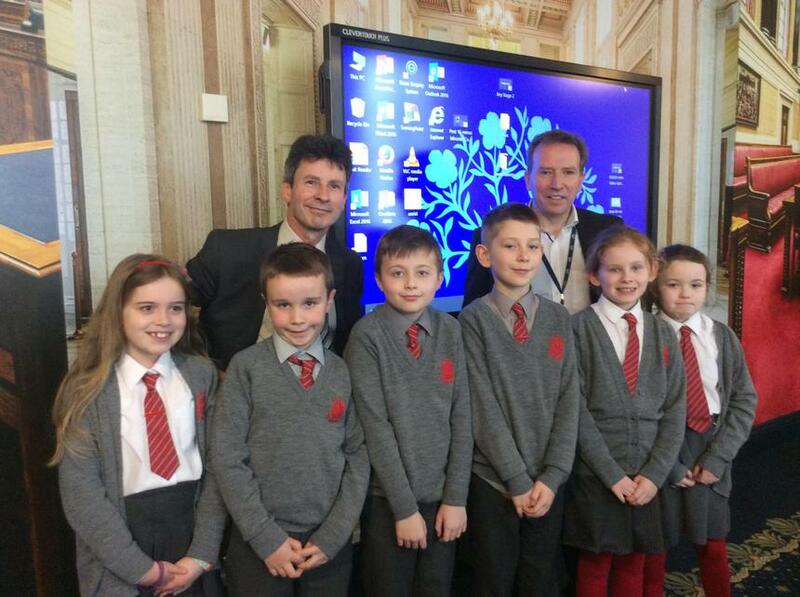 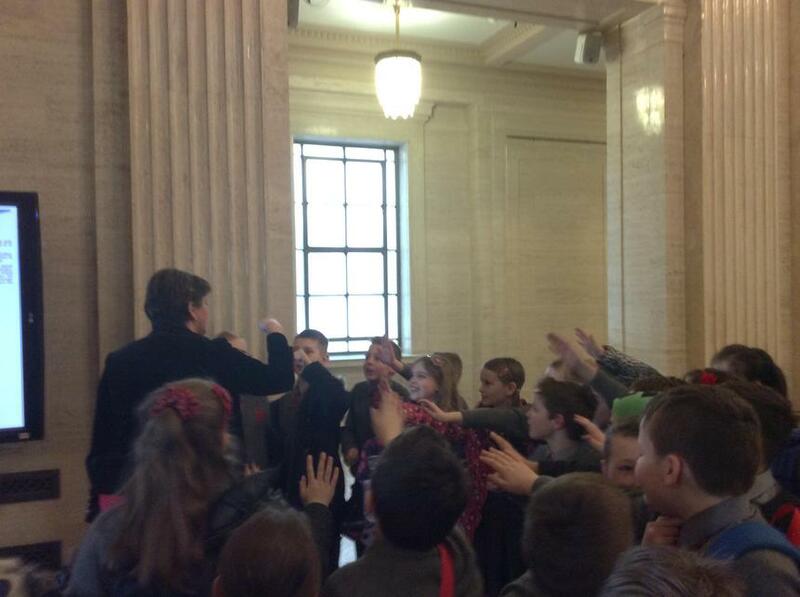 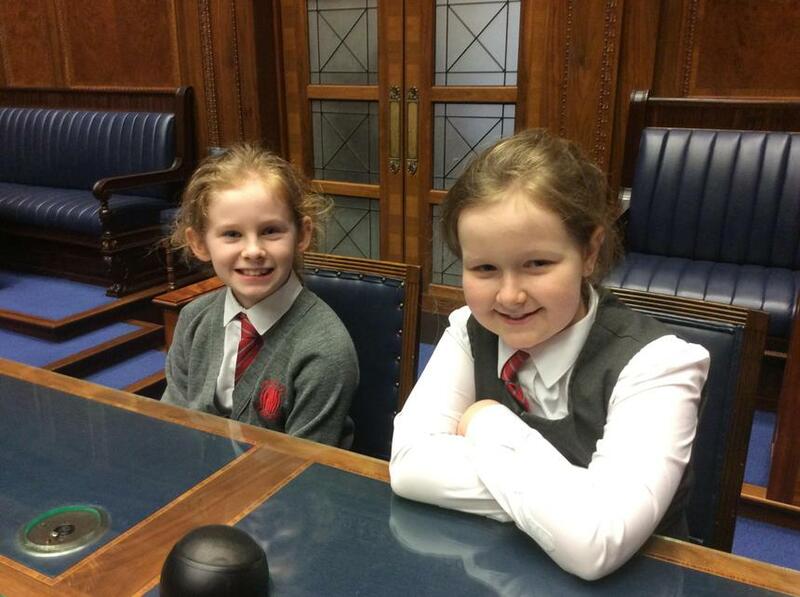 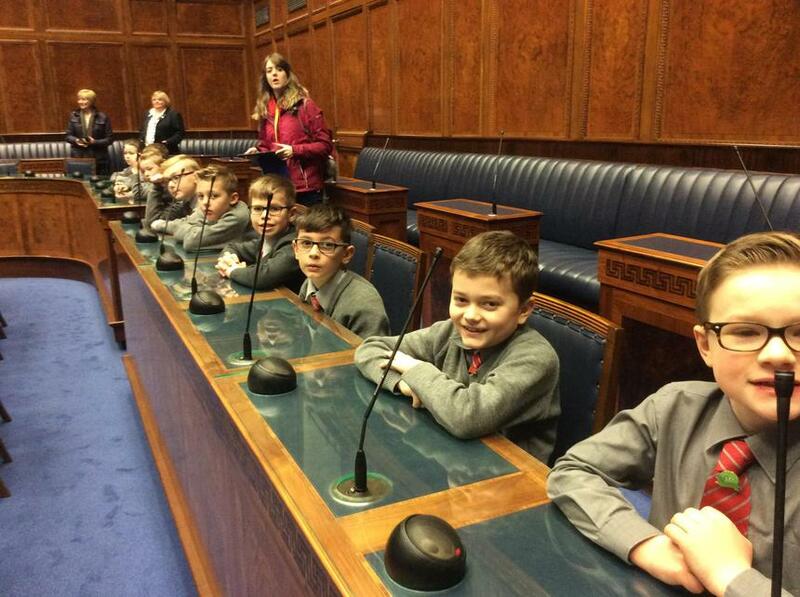 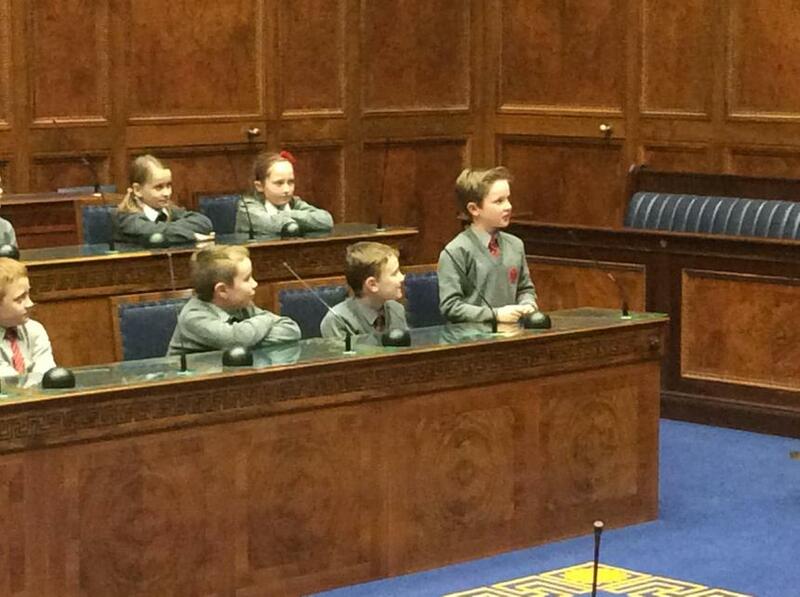 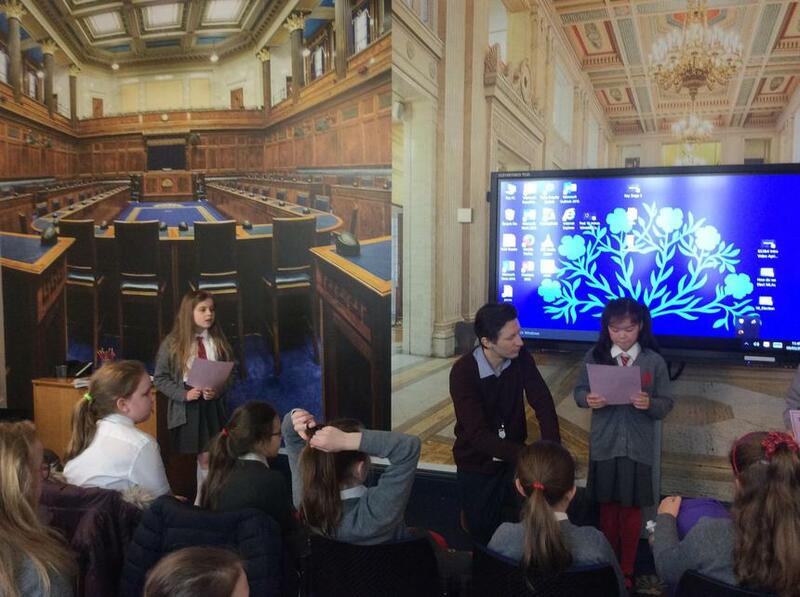 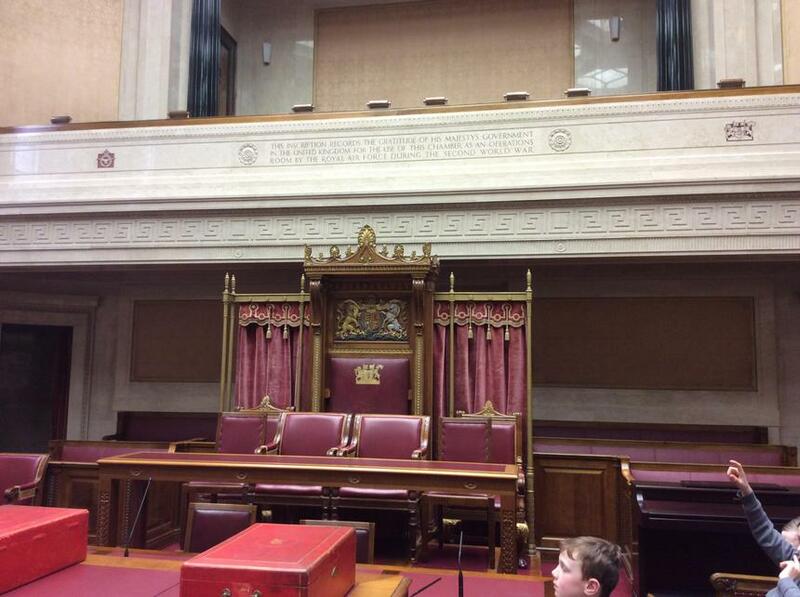 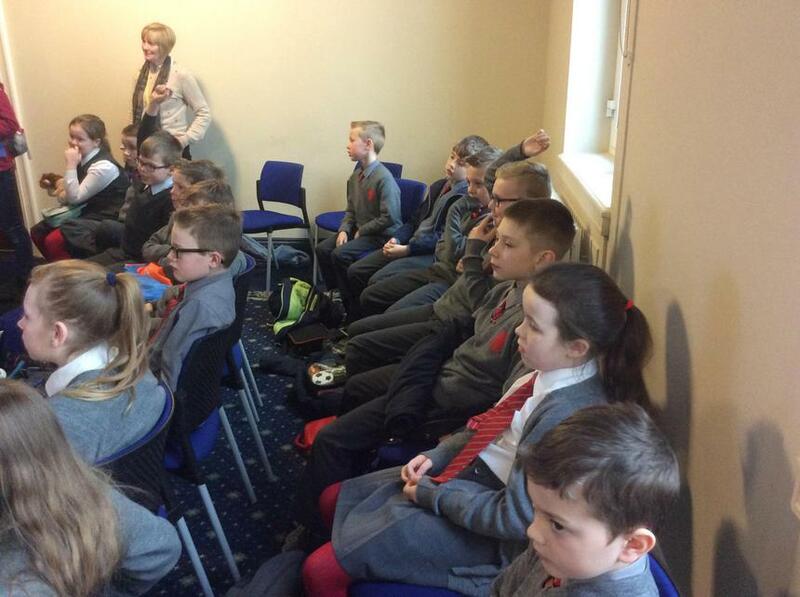 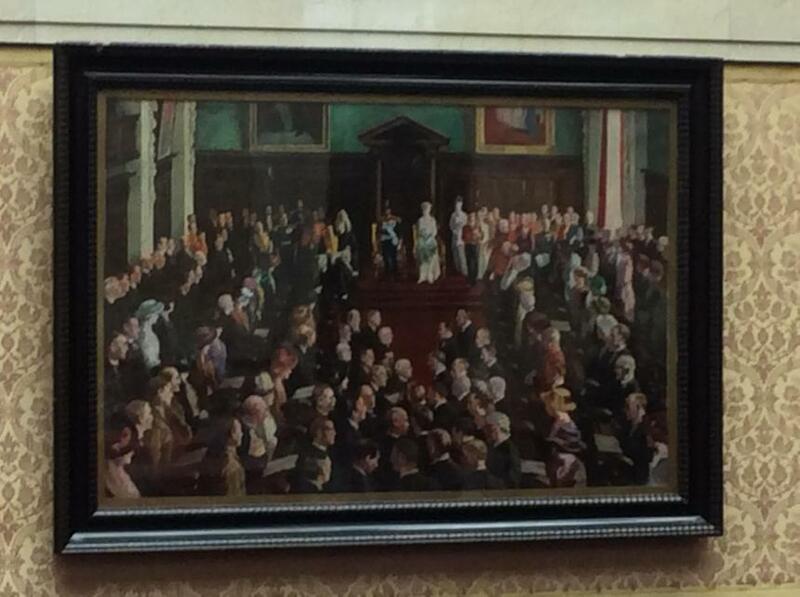 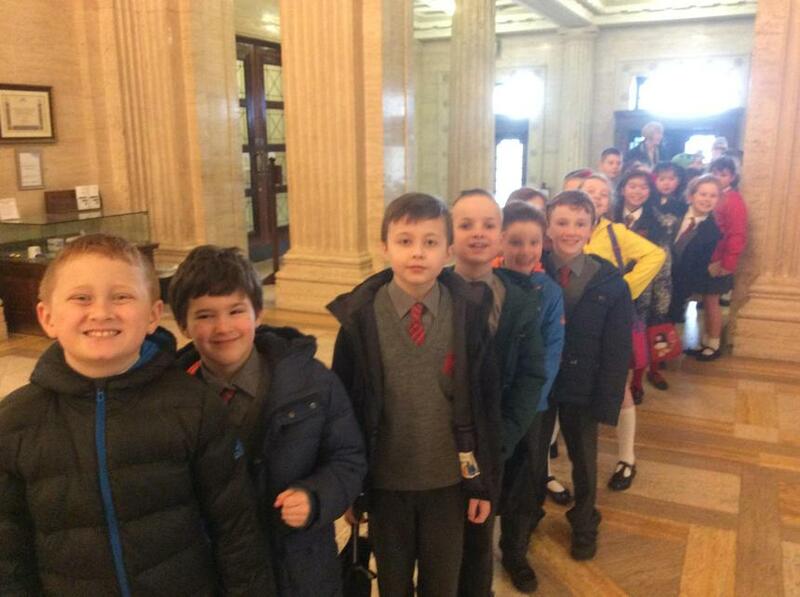 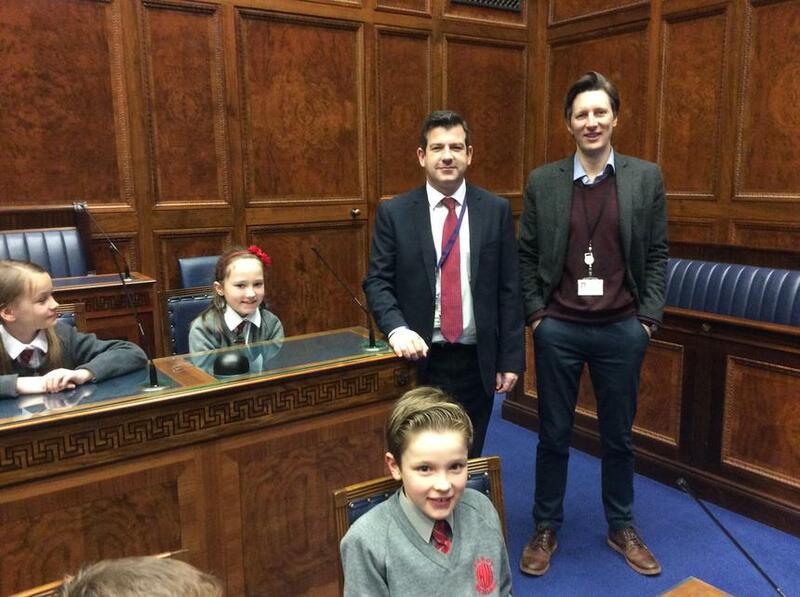 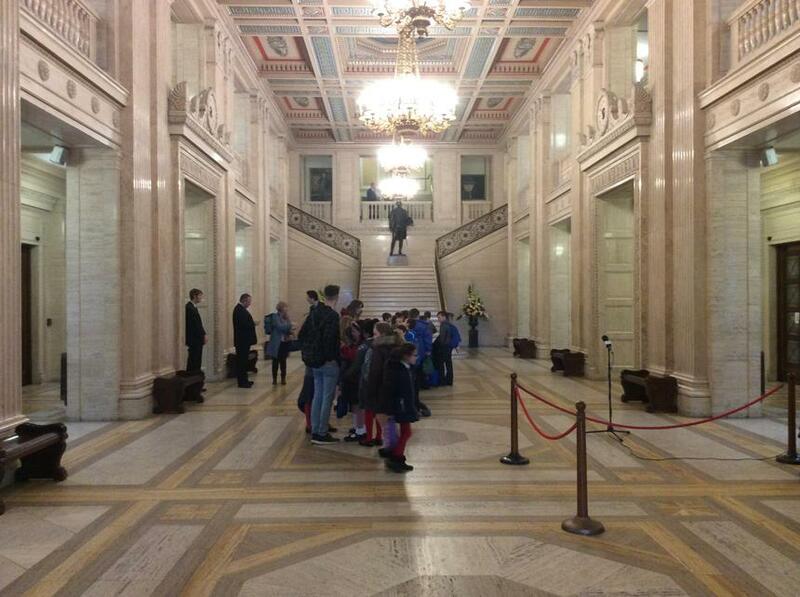 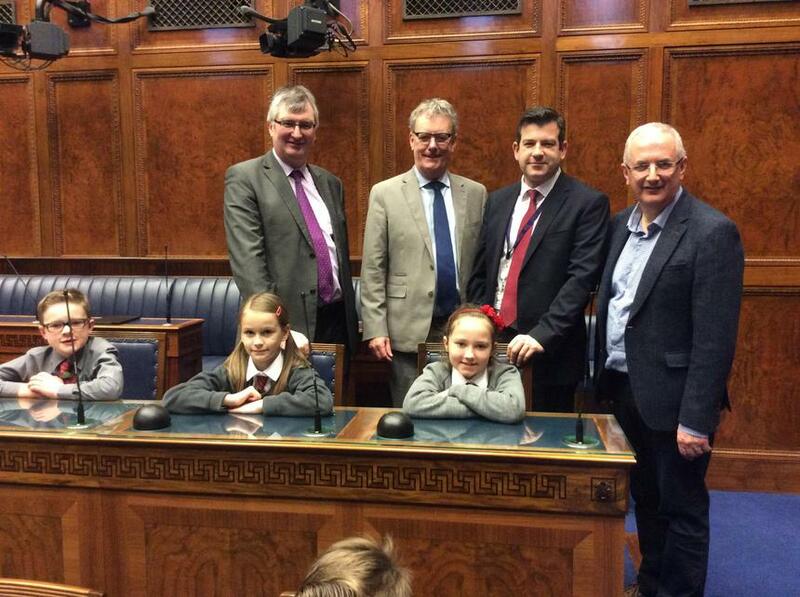 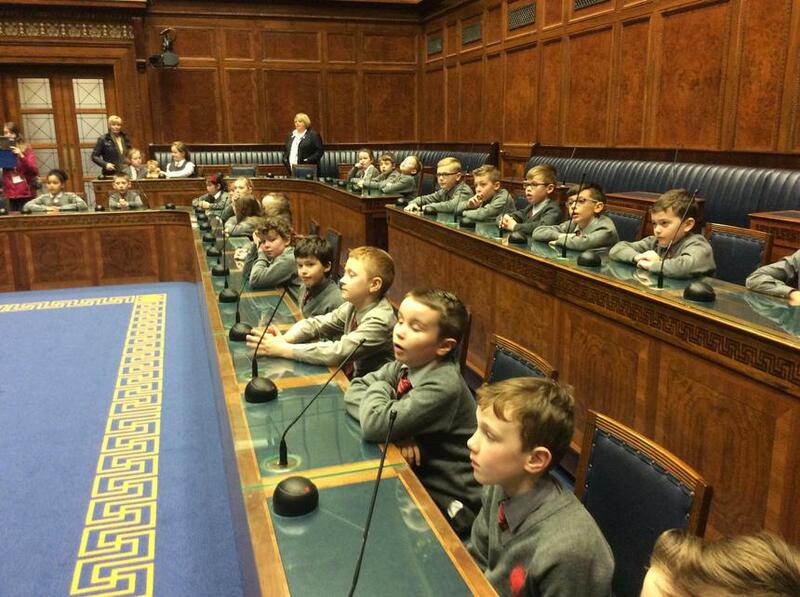 Stormont Visit - On Thursday 9th March, the pupils of P5G visited Parliament Buildings, Stormont. 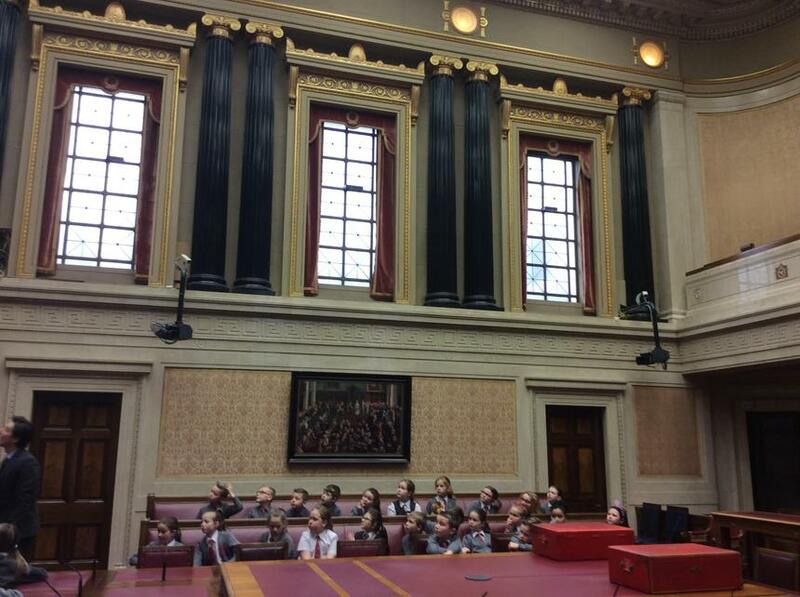 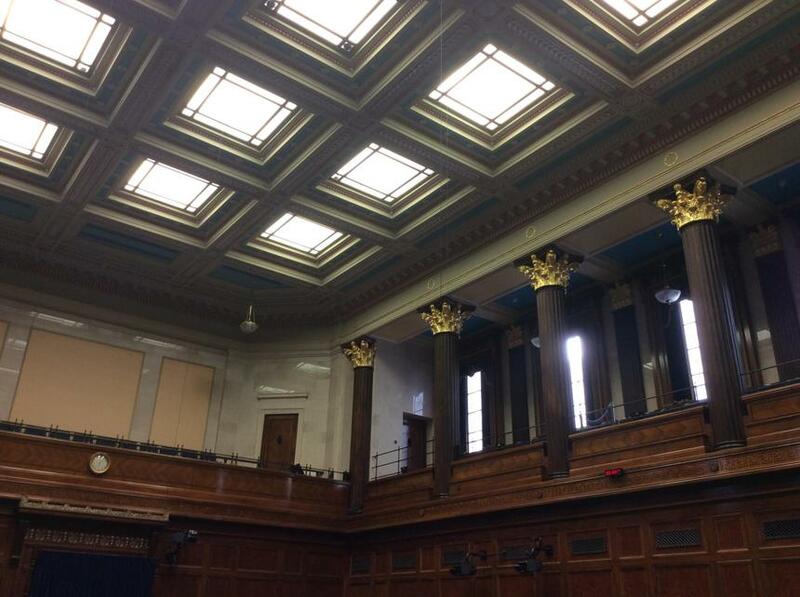 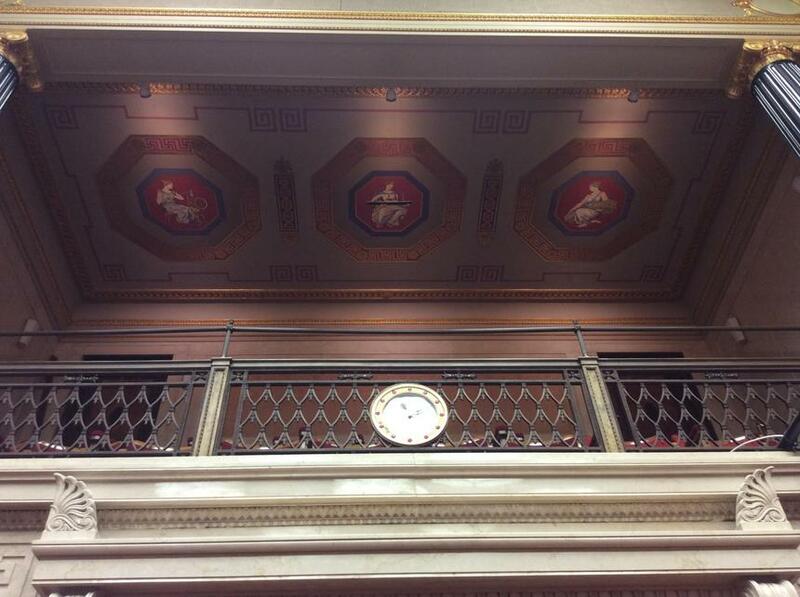 We had a wonderful time learning about our government. 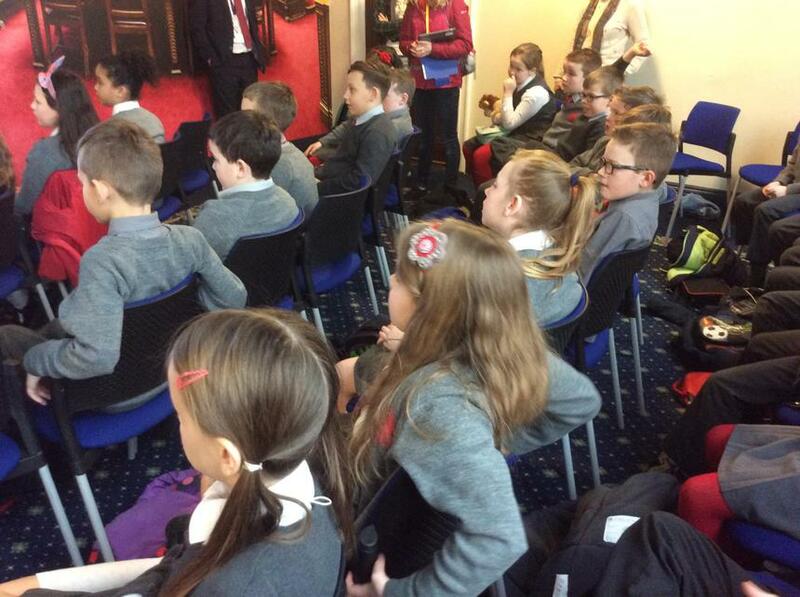 We even met some famous faces!